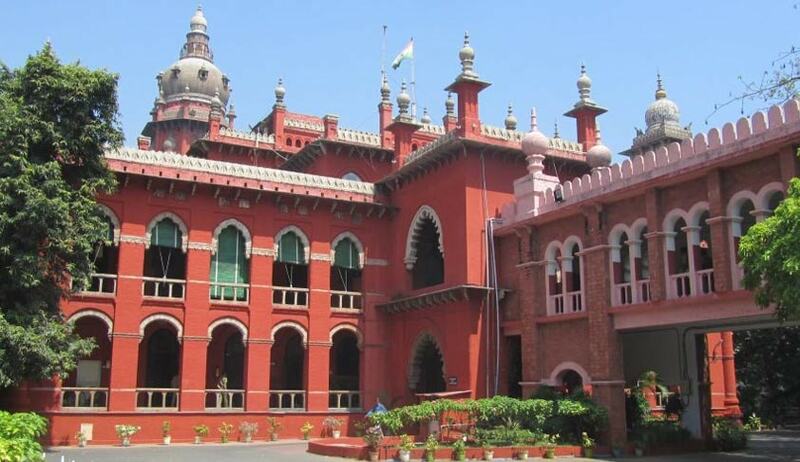 The Madras High Court has adjourned the hearing of a Public Interest Litigation filed by Chennai-based lawyer VBR Menon seeking the appointment of adequate number of ad-hoc high court judges under Article 224-A of the Constitution at the Principal and Madurai Benches of Madras High Court to reduce the huge backlog of pending cases. The Bench comprising of Justice Huluvadi G Ramesh and Justice S Vaidyanathan posted the case for hearing to the first week of October. According to the petitioner, the present total sitting strength of judges is 39 as against the total sanctioned strength of 75. This clearly highlights the problems that exist now in the timely filling up of vacancies of high court judges. The executive is mandated to review and to fix the required strengths of high court judges under Article 216 of the Constitution, so that the objective of speedy justice could be realised. However, when the present constitutional provisions for the appointment of permanent judges are failing even to maintain the previously determined total strength of judges, it is necessary to appoint ad-hoc judges under Article 224-A of the Constitution so that speedy and timely disposal of cases could be achieved. The petitioner stated that the Madras High Court is having huge pendency of cases for disposals due to various reasons, including the shortage of additional and permanent judges for the past several years. If this situation is allowed to continue any further, the pendency of cases might reach such unmanageable proportions that even full strength of judges in future may not be able to achieve timely disposal of cases. “For one reason or the other, the vacancies of high court judges are not getting filled up for quite some time resulting in the huge pendency of cases in the court. The pendency has also increased as a result of growing awareness in the society and consequent growth in the number of cases being filed. Thus, by appointing retired judges as ad-hoc judges, not only the problems of pendency of cases can be reduced and dealt with effectively, but this high court will also be benefited from the vast judicial experiences of those retired judges,” the petition stated.